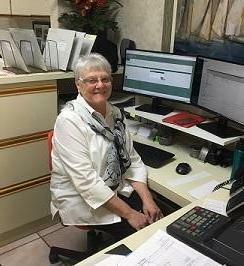 Over many years of practice, the CPAs at Whittaker & Associates have developed a unique understanding of accounting and reporting for community associations. With hundreds of beachfront condominiums and retirement communities in Venice, Sarasota, and the surrounding areas in Southwest Florida, we’ve been able to gain extensive experience through working with such a large section of the community association industry. We routinely provide our services to over a hundred condominium, homeowners’, and cooperative ownership associations. As with our business clients, no account is too large or too small. We’re proud to assist condominiums with a handful of owners, as well as some of the area’s biggest associations and manufactured home parks. We also provide our accounting services to a number of prominent local property management companies with whom we have an ongoing relationship. In Florida, community associations are subject to complex state regulations and reporting requirements. Our accounting firm has both the experience and the knowledge to ensure your association is meeting those requirements, and to see that your residents are getting an accurate financial picture. Taxation. Associations must choose which form to file on an annual basis. At Whittaker & Associates, we can assist you with making the proper election to minimize your association’s tax liability. Organization. Whether you’re a new property or an established community of long-time owners, we can help you prepare budgets, calculate reserves, set up a chart of accounts, and organize your association’s financial information in the most straightforward manner. Careful account management ensures the reporting process will be easier and less time-consuming. Statutory reserve requirements reporting. In Florida, reporting of statutory reserves is a heavily regulated area. Our CPA’s have helped numerous associations stay in compliance with the law and present meaningful financial information to their residents. Ongoing assistance and support. At Whittaker & Associates, we welcome the opportunity to share our knowledge with your board. We can help familiarize your treasurer with the industry and the statutory requirements of the position, and offer advice as to the functions of the treasurer’s office. We’re here to help whenever you need us. In addition, we can provide your association with a complete line-up of general accounting services, including compilations, reviews, and audits, and bookkeeping with eBookkeeper, our proprietary outsourced accounting product. For more information about our experience and services, please contact our managing partner, Tom Whittaker.